When attempting to pick one of the 40 Grand National numbers, there are many different strategies for making a selection. The more knowledgeable will consider form, stamina and jumping capabilities when selecting their runner. Others will like the silks of a particular jockey, the attraction of a grey horse, a random outsider in the betting to chase the biggest payday or be drawn to an entrant with an alliterative name. Most people generally have lucky numbers or numbers that mean something specific to them, such as the day or month a family member was born. These numerals have a tendency to factor into certain decisions. Alongside which National Lottery numbers to pick, they are also used to place a Grand National bet, with each horse assigned a number on the racecard that can also be seen on their saddlecloth. Just how lucky or unlucky are such digits? The Grand National has been regularly run with 40 runners since the turn of the century and here are some findings from the last 19 runnings of the Aintree showpiece that will go some way towards which racecard numbers you need to be on and which you should avoid. Which Grand National numbers win the most? Some 16 different numbers have won the Grand National in the last 19 years, with 10, 13 and 29 the repeat winners. Interestingly, 29 has secured its two victories across the last five runnings courtesy of Pineau De Re in 2014 and Rule The World in 2016. 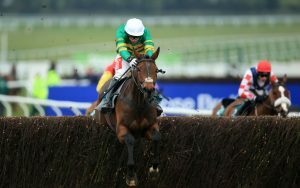 Up For Review will wear 29 this year and can be backed at 40/1 in the Grand National betting. 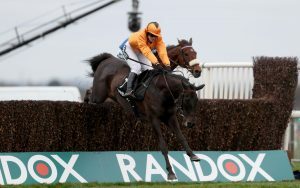 Those Grand National numbers in the middle have proved the most prolific overall, with horses between 10 and 30 on the racecard proving the best to side with. Despite representing only just over half of the total runners, these numbers have supplied 14 of the 19 winners in this period. Which number is most reliable for securing an each-way payday? Standard each-way betting terms for the Grand National pay the first four finishers, but William Hill will be extending these terms for the first six home at Aintree in 2019. Three numbers are still to finish in the top six in the last 19 years, which suggests that 8, 25 and 39 are best avoided when betting on the Grand National. Those seemingly at a disadvantage this year because of this are Minella Rocco, Mall Dini and Bless The Wings. On a more positive note, 27 has been second past the post four times since 2000. No other number has finished in the same position more frequently. Maybe this will be the year that a deserved victory arrives? A relative outsider in Ultragold will wear 27 this year and is 66/1. In terms of top-six finishes, number 37 has accomplished this five times since 2010, making it a friend of each-way Grand National backers. No other number has finished in the top six more than three times in the same period. What’s more, three of these have been sent off at odds of 33/1 or larger too, including 100/1 outsider In Compliance in 2012. Folsom Blue is 37 this time and can extend the good record of longshots as he’s 66/1 to win the Grand National. Which Grand National numbers are most likely to give you a run for your money? Of the 755 runners that have lined up at the tape for the Grand National this century, 149 have completed the marathon trip, which has been shortened slightly from 4m4f to a shade over 4m2f since 2013. Grand National numbers 10, 24, 32 and 37 have finished the race most often during this time, completing 10 races each. Last season’s runner-up Pleasant Company, Tea For Two, Valseur Lido and Folsom Blue will carry these numbers in 2019. This bodes well for the two female jockeys with mounts in this year’s race, with Lizzie Kelly on Tea For Two (24) and Rachael Blackmore riding Valseur Lido (32). The same can’t be said of Go Conquer and Lake View Lad, as their numbers – 6 and 9 – have been the least frequent finishers across the last 19 Grand Nationals, crossing the line only three times each. Number 37 is on the longest completion streak, finishing the last seven editions. The chances of this year’s carrier, Folsom Blue, have already been highlighted above. Which Grand National numbers struggle to complete? Unsurprisingly, those carrying the heaviest weights have generally had difficulty completing. All of the numbers between 1 and 9 are in double figures in terms of failing to finish. The top weight has found it a particular strain. Number 1 has failed to finish in seven of the last 10 years and tailed off in 16th position in two of the other three contests. Last year’s fourth Anibale Fly will be carrying top weight in 2019, but this shouldn’t be a problem as he also lugged 11-10 round when recently finishing second to Al Boum Photo in the Cheltenham Gold Cup. The real unlucky number across the last decade has certainly been 31. The proof lies in the fact that his number hasn’t completed a National since Philson Run came home in fourth behind Silver Birch in 2007. 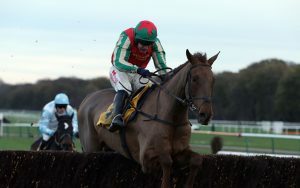 Five falls, four cases of the jockey being unseated and two instances of number 31 pulling up have been the performances across the last 11 years. This doesn’t bode well for Vieux Lion Rouge, even though he does have the experience of completing all of the last three Nationals. Which Grand National numbers are generally the unluckiest? There are numerous ways that a horse may fail to finish any horse race. Among the most unlucky is to be unavoidably brought down by another horse directly ahead that had made its own mistake. Equally unfortunate is to be carried out, which is when one of the riderless loose horses causes interference and others are effectively run off the track. Number 20 has fallen prey to these the most frequently this century. It’s also a number with a poor completion record, getting round in three of the last 12 years. Number 20 this year is Jury Duty. Which Grand National number is the clumsiest? Clumsy horses are best described as those which are error-prone jumpers that either fall over on the landing side of a fence or land in such a way that results in their jockey being unseated. If you’ve read this far, it will come as little surprise that 31 gets this dubious honour since 2010, falling or unseating on seven occasions. However, across the full 19 years of research, number 8 is the worst offender with 13 examples of falling or unseating. Minella Rocco has fallen or unseated three times since December 2016. On the flip side, number 4, Outlander this year, tends to be the finest jumper overall, falling once and unseating once in 19 runnings.